Here’s a generous donation from Antonio, a reader, collector, and label owner from Italy. 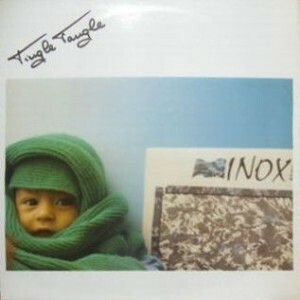 I was definitely interested in hearing the full length Inox album after spending more time with the Segni Dal Fiume 12”. The full length is more of the same excellent female-fronted wave with a touch of gloomy post-punk thrown in for good measure. If anything, these tracks go a bit deeper and a bit darker, which is definitely right up my alley. This particular LP came out in 1986 and completes the Inox discography… Antonio warns us that the pressing isn’t necessarily the best, so please forgive any anomalies you may notice while listening! I’m also pretty amused that the band featured a photo of the 12” on the cover for this LP. Gotta collect ’em all, I suppose? Not sure if I mentioned in my previous post, but this band was from Torino/Turin, a city in north western Italy that is still known for post-punk today. Other bands from the region included Carmody, Chromagain, Monuments, Deafear, and many more. For a good overview of the region, check out this amazing compilation from 2015 that highlights many of the bands from the Peidmont region. That all said, thanks again to Antonio of White#Trash for sharing this! Hope you all enjoy.